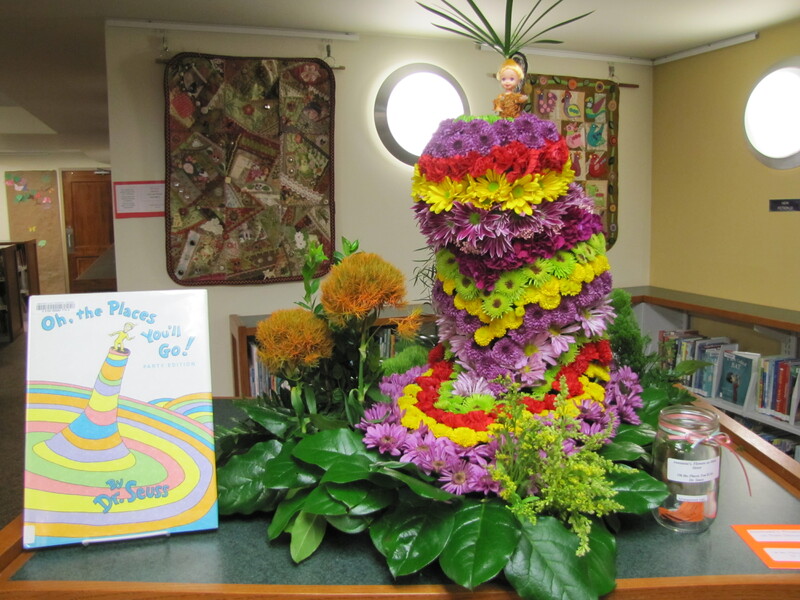 The Friends of the Georgetown Peabody Library are hosting a “Books in Bloom” fundraising event on Saturday, May 4, from 6:30 – 9:00 pm. Enjoy a spectacular display of floral arrangements by local floral designers inspired by favorite literary works. Many displays will be available for raffle. Proceeds benefit library programming and museum passes. Tickets are $20 which includes complimentary refreshments. Exhibitors will be given 1 half price admission ticket ($10). To purchase tickets, contact Betty Hastings at bettyhastings74@gmail.com or at the library’s Main Desk. Please click here to purchase tickets online. Please click here if you are interested in submitting a floral arrangement. Local businesses – interested in advertising your business in our program booklet? Please click here for more information. Please contact Gloria Swanbon at grammyglorias@aol.com or Joan Chatterton at jdchat@verizon.net if you have any questions about the event. We look forward to seeing you there!